Anixa Biosciences said today that for its ongoing study assessing the effectiveness of its Cchek artificial intelligence (AI)-based liquid biopsy in prostate cancer, the company will partner with the Hunter Holmes McGuire VA Medical Center (VAMC) in Richmond, VA.
Cchek is Anixa’s platform for a series of inexpensive non-invasive blood tests being developed to aid in early detection of solid tumors, based on the body’s immune response to the presence of a malignancy. Chek is designed to use flow cytometry of white blood cells and AI to identify tumor-bearing patients. Michael G. Chang, MD, Service Chief, Radiation Oncology at Hunter Holmes McGuire, will oversee enrollment in the Cchek prostate cancer study, Anixa said. “We are pleased to be working with Dr. Chang and the VAMC to further develop our artificial intelligence based prostate cancer diagnostic test,” Amit Kumar, PhD, CEO of Anixa, said in a statement. At the 26th International Molecular Medicine Tri-Conference (Tri-Con), held March 10-15 in San Francisco, Dr. Kumar gave a presentation on Cchek, discussed how its technology is designed to work, and how it performed in detecting prostate cancer, breast cancer and several other types of cancer. In prostate cancer, according to the March 14 presentation, Anixa tested 60 blind samples in an internal study in which Cchek showed sensitivity of 90% in correctly diagnosing stages 1-4 prostate cancer, and specificity of 96% (48 of 50 correct). Anixa also tested 73 samples using Cchek in a collaboration with Memorial Sloan Kettering Cancer Center, finding sensitivity of 92% (33 of 36 correct) and specificity of 92% (34 of 37 correct). Additionally, in a confirmatory study testing 106 samples for the presence of benign prostate cancer, Cchek showed sensitivity of 94% (46 of 49 correct, but specificity of only 42% (24 of 57 correct). Anixa explained that result by noting that based on PSA testing, the patients were sent to biopsy, where they received negative results. “Our test would have saved roughly half of these men from a biopsy,” Anixa stated in its presentation. Anixa plans to launch its prostate cancer confirmatory test during the third quarter, according to the presentation. 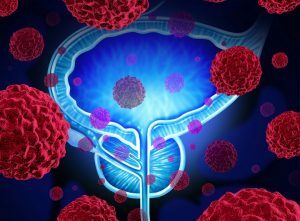 Prostate cancer was one of 15 cancer types for which 98 samples were tested in a separate study of stage 1-4 multiple cancer types. In that study, Cchek showed sensitivity of 87%, correctly identifying 41 of 47 samples; and specificity of 88%, rightly identifying 45 of 51 samples. The company has identified four potential markets for Cchek: Screening, confirmatory testing, treatment monitoring, and recurrence monitoring.